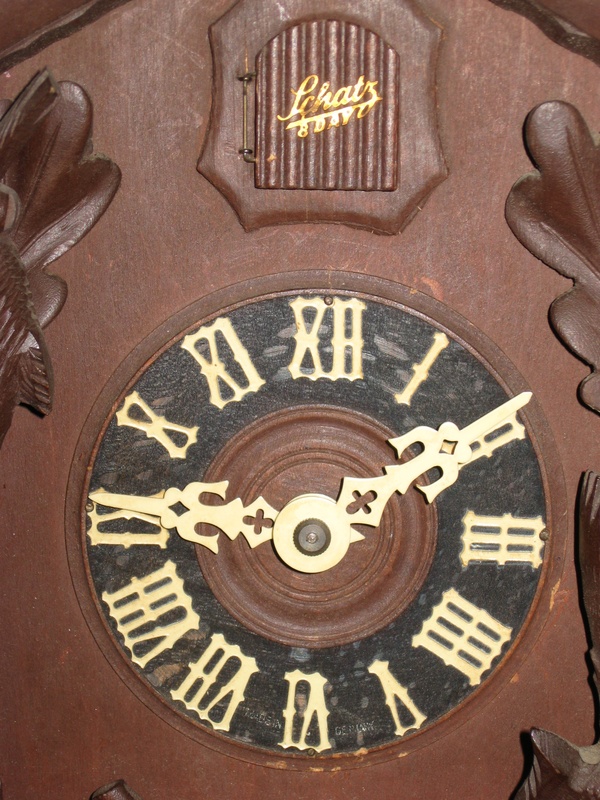 This Schatz cuckoo clock is dated 10 54 (October 1954) on the movement. It is the first one I’ve seen with a movement date. The movement also has RR for Remington Rand, the importer. 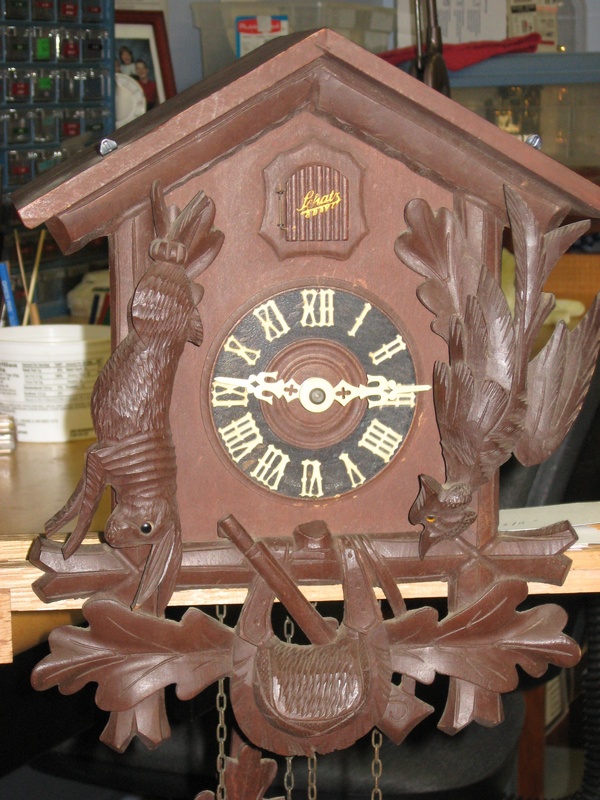 Schatz designed and made their own cuckoo clock movement. They made only one movement model, an 8-day, with the design of the bird in the plates. Repair job 6073. Pivots polished, installed 17 bushings. 17 bushings? That’s quite a few. I just got one of these in for repair, and the pivots look pretty good. 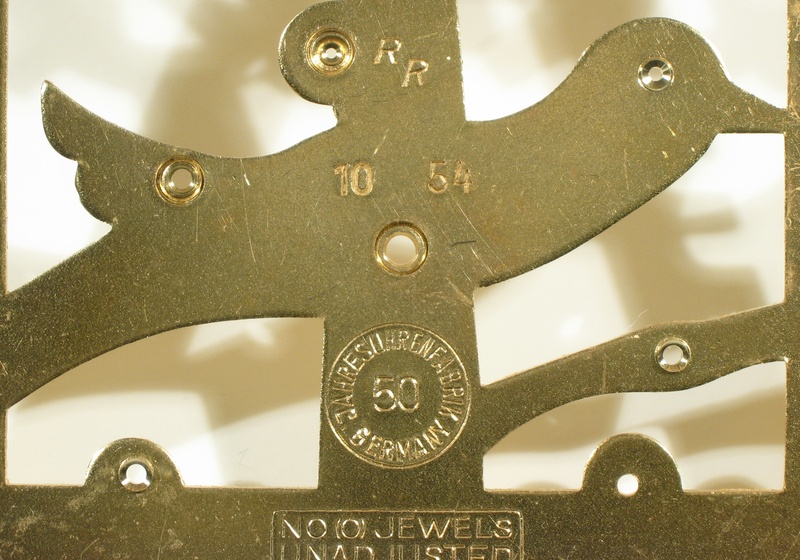 There’s no movement date or other stamping aside from the Schatz logo, which says “KU50” in the center. Oh: there is something wrong with your website’s Capcha feature, but it corrects itself after the first try.